I ran into a store to pick up an item the other day and went to the register to pay for it. In front of me stood an old man wearing a baseball cap with day-old gray stubble and white Velcro sneakers looking just like my Dad in his later years. 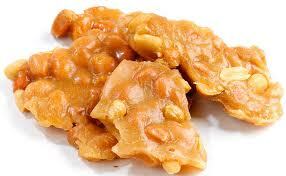 I didn’t think much of it until I looked at what he was purchasing…peanut brittle…Dad’s favorite. My Dad has been gone for 17 years now, and I hadn’t thought about him in a while. I remembered how much he absolutely loved peanut brittle, and I used to buy a can of it for every occasion along with whatever I thought he might like. But he never seemed to want anything more than that peanut brittle. My Dad was a tough guy. A Great Depression baby. He survived childhood poverty, an abusive father and World War II. He was rough around the edges and had a time-bomb temper. To be honest, we never got along. When I was young and was his little girl, he would have me running circles around him doing this chore and that chore, and I gladly did anything to please him. Nothing seemed to, though. At least that was my perception. As I got older and didn’t follow his orders as much as he would have liked, the fighting began. We were always at odds. He was very controlling, and I stepped into my “don’t give a crap” mode. We pulled away from each other as I went out into the world to try to find myself. I was described by someone during that period as kind of a hippie, but kind of not. My Dad didn’t care much for hippies, so the fact that I was dressing and acting like one disturbed him. No matter – I did what I pleased and sometimes did things just to aggravate him. Anything to get a rise out of him. I did this because I never felt encouraged or loved or cherished by him as a daughter should be. During this “discovery” period, however, I ran out of gas at 2 in the morning after dancing in a club all night. I called him, waking him out of a sound sleep to ask for help. He was there 15 minutes later with a full gas can and never yelled at me once or mentioned it again. The only thing he was mad about was that he left the gas can on the side of the road by mistake, and it was gone when he went back to retrieve it. I guess I knew deep down inside he loved me because there were some finely woven shreds of evidence of it throughout my life as in this instance. My Dad worked hard all his life to be sure we had a nice home, food on the table and clothing – all the creature comforts. Although he yelled a lot, he never touched us like his battering father did him. He broke that chain, which made me proud of him. But he never took me in his arms and hugged me either nor did he ever tell me he was proud of me. I know that generation wasn’t much for showing their feelings or their emotions, so part of me understood he just wasn’t that kind of guy. But I always felt something lacking because of it. I didn’t understand why he cried like a baby as he walked me down the aisle on my wedding day. Or why he sobbed uncontrollably again during our father-daughter dance. It was a revelation to me. 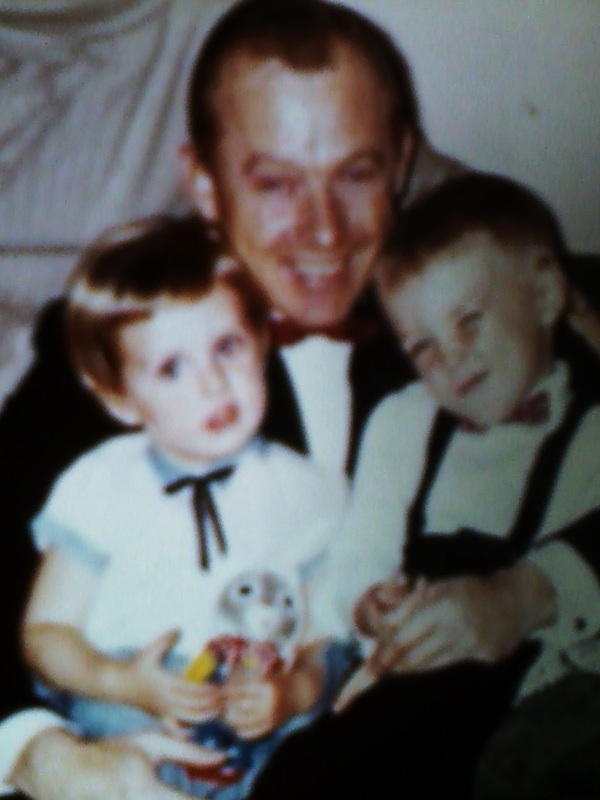 I was sure he loved being a good Pop-Pop to my kids, and as an adult he would do anything for me, even encouraging me to move home with my kids during a rough marital period. I finally decided that he must have loved me deep down inside in his own way all along, but it took years for me to figure that out. I miss him every now and then. Like on Father’s Day. I wish he could have seen my kids grow up and graduate and get married. I wish I could just sit down with him one more time and crunch some of that peanut butter that he loved so much.